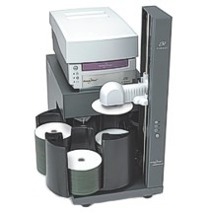 Searching for CD duplication? then Welcome to the Testa-Rossa website offering the highest quality and best UK pricing for CD and DVD copying services. 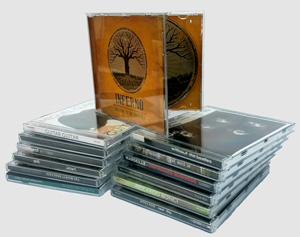 All our short run CD duplication with colour print is available on the highest quality media and is suitable for quantities of up to 500 discs when fast turnaround of short run orders is essential. 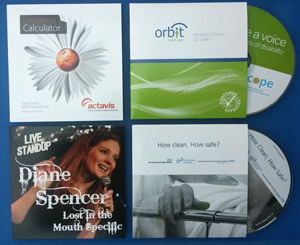 For larger volume orders our CD replication services are more suitable. This involves the creation of a glass master and then pressing the discs. When you require the copying of video or larger amounts of data our DVD Duplication services can be used. We also offer disc replication and pressing where higher quantity orders are required at low cost. Testa-Rossa is based in Manchester, UK and our orders are despatched by next day courier to any UK mainland address. 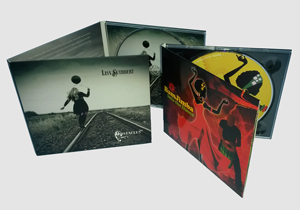 Our best selling album package deal, manufactured to full retail specification. Includes glass mastering, disc pressing, artwork set up, on body print, 4 page booklet and inlay, packed to jewel case, delivery. Optional cellophane overwrap and a free EAN-13 barcode number are available. Prices listed exVAT. Inclusive of glass master, pressing, print set up, on body print, disc packed to full colour printed card wallet. Do I Require Duplication Or Replication? Duplication is the process of burning information onto a blank CD-R or DVD-R using automated machines that contain writeable drives similar to the drives on a home computer. The process involves very little set up and therefore turnaround is very fast. This is the fastest and most cost effective solution for orders up to 500 discs. Replication is the manufacturing process where the discs are produced in a pressing plant with the information already embedded into the disc. The manufacture involves the production of a glass master which is then used to form metal stampers. The information is then stamped/pressed onto the disc during the plastic injection molding process. Set up for pressing is complex and therefore turnaround times are longer. As well as offering Replication of Compact Discs, here at Testa-Rossa we can also perform the same manufacturing process for DVD’s. For more information view our DVD replication page. Disc replication is more cost effective for orders of 500 and above copies. Testa-Rossa offers a full range of high quality full colour offset litho printed booklets, inlays, inserts and wallets. We only use the highest quality litho print for our manufacturing packages and can also supply just the printed booklets and inlays for clients with their own disc production facilities.